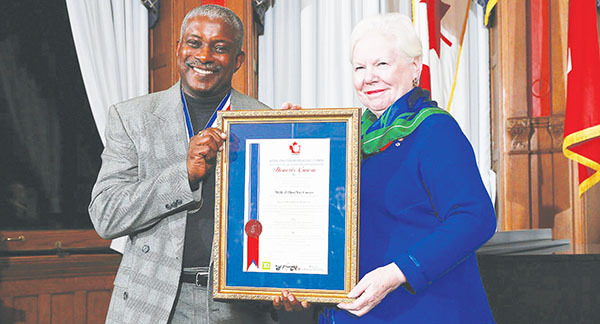 The above photo is of Pride News Magazine Founder, Publisher and Editor, Michael Van Cooten, receiving his NEPMCC award from the Honourable Elizabeth Dowdeswell, Lieutenant Governor of Ontario, last Friday evening. Photo credit: youradonline.ca. TORONTO, Ontario — Guyana-born Michael Van Cooten, the Founder, Publisher and Editor of Pride News Magazine and Pridenews.ca, was honoured by the National Ethnic Press and Media Council of Canada (NEPMCC), last Friday evening, for exceptional services rendered to his community, in the areas of equality, the humanities and social justice. Van Cooten, who was nominated for the award by African-Canadian community stalwart, Ned Blair, Vice-president of NEPMCC, was among 35 deserving print journalists, editors, publishers; radio, television and electronic media directors and producers; and individuals, recognized “for their impact in the daily lives of Canadians and their efforts to make Canada a more liberal, just and open society”. 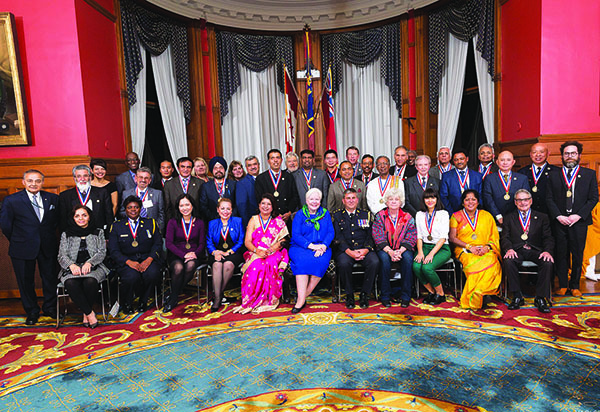 The 2015 edition of the 35-year NEPMCC annual awards ceremony was held in the music room in the Queens Park suite of the Honourable Elizabeth Dowdeswell, Lieutenant Governor of Ontario, who also presented the awards to its recipients. NEPMCC President and Chief Executive Officer (CEO), Thomas S. Saras. Photo credit: youradonline.ca. 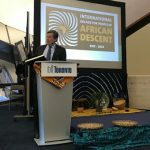 “It is an honour and indeed a distinct privilege, for me and my colleagues to welcome you all today to this recognition of those who distinguish themselves in the service of Canada’s diversity in our great multicultural society, founded on freedom of the press,” said NEPMCC President and Chief Executive Officer (CEO), Thomas S. Saras, in his welcome remarks to the audience. “By recognizing this evening’s recipients, we acknowledge our appreciation for what they tirelessly do for our communities, and at the same time, we wish them luck and encourage them to continue their wonderful efforts in the future,” he added. In January, 1983, Van Cooten, who is also the Founder, Chair and CEO of Pride Inc., a media and communications corporation, started Caribbean Life Magazine, which, a year later, changed its name to Pride News Magazine. 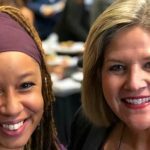 Today, 32 years later, Pride has evolved into one of the most read and influential publications serving the Black-Canadian, African-Canadian and Caribbean-Canadian communities. It is also the third oldest Black publication ever, in Canada, behind Share newspaper and Contrast newspaper. 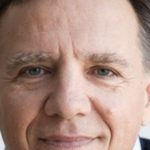 “It felt great, satisfying and will serve as somewhat of a technical validation of my 32-year career as a writer, publisher and editor and, in times of challenge — which in the business of ethnic publishing is almost inevitable — I know, that this award, will provide me with the inspiration not only to push through the tough times, but to excel at serving Pride News Magazine’s readers with professionalism,” he added. The 2015 NEPMCC award recipients pose for a group photo with the Honourable Elizabeth Dowdeswell, Lieutenant Governor of Ontario (seated, center); Thomas Saras (standing, extreme left), NEPMCC President; and Maria Saras-Voutsinas (standing, third from left), the Executive Director of the national media organization, who read the citations for the event. Photo credit: youradonline.ca. 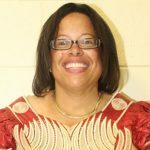 A passionate community advocate and builder, in June, 1985, Van Cooten founded the Canadian Black Achievement Awards (CBAA) and later changed the organization’s name to the African Canadian Achievement Awards of Excellence (ACAA). Over its 30 year history, the ACAA has unearthed, recognized and honoured over 400 distinguished African Canadians in a wide variety of vocations, and has inspired thousands of Black youth to pursue and realize their potential. Iconic African Canadians, such as Oscar Peterson; Hon. 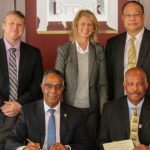 Lincoln Alexander; baseball hall-of-famer, Ferguson Jenkins; George Elliott Clarke; Hon. Jean Augustine; award-winning author, Austin Clarke; Hon. 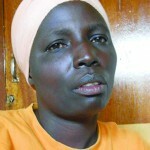 Mary-Anne Chambers; Hon. Alvin Curling; Michael “Pinball” Clemons; Donovan Bailey, Tonya Lee Williams, and many, many others, have received ACAA awards of excellence. Immigrating to Canada in January 1972, Van Cooten has gained extensive sales and managerial corporate experience as: Assistant Officer-in-Charge, Guyana Telecommunications Corp.; Sales Manager, Prestige Equipment; Assistant Branch Manager in the Circulation department of the Toronto Sun newspaper; the first Black Branch Manager at the Globe and Mail‘s circulation department; and an independent circulation contractor for the Financial Post, which later became the National Post. He is also a seasoned entrepreneur, having started and operated a number of different businesses: the Sales and Management Training Institute; Fashion Flair, a two-store fashion retailer; Distribution Plus Publications Inc.; and You’re Beautiful Beauty Supply, a two-store retail enterprise. Van Cooten has received numerous awards including: a Toronto Police Services Black History Month award; a Visions of Science “Keepers of the Knowledge Flame” award; a Jamaican Canadian Association (JCA) Community Service Appreciation award; an award of Excellence from the government of Guyana; the Jackie Robinson Fortitude Award; and others. Van Cooten, who turned 63 in January, has been married to his wife, Donna, for 29 years, has six children — Mykella, Shiren, Yolanda, Vanessa, Donnavan and Narissa — and resides in Whitby, Ontario. 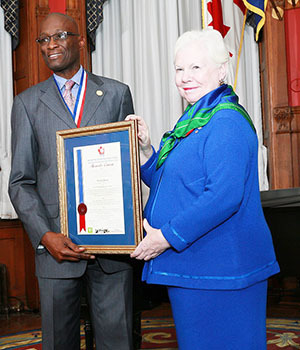 Toronto Star municipal affairs columnist, Royson James, poses with his award with the Honourable Elizabeth Dowdeswell, Lieutenant Governor of Ontario. Photo credit: youradonline.ca. 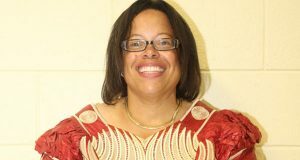 Four other African Canadians also received NEPMCC awards last Friday. Jamaica-born Royson James, a respected journalist and municipal affairs columnist with the Toronto Star newspaper, since 1991, received his, in the Journalist Category for exceptional service to community media — city politics. 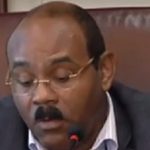 In the category of newspapers, for distinguished perennial service to his community and distinctive achievements in media, NEPMCC paid tribute to Arnold A. Auguste, the Publisher and Editor of Share, the oldest Black and Caribbean newspaper in Canada. 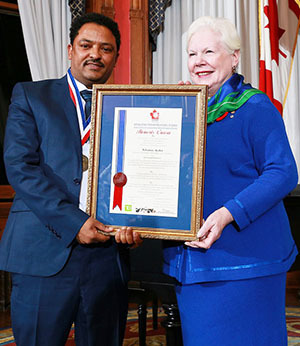 Ethiopia-born Yohannes Ayalew, publisher and director of “Ethiofidel.com”, gets his award from Ontario Lieutenant Governor, the Honourable Elizabeth Dowdeswell. Photo credit: youradonline.ca. 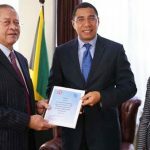 Auguste, who was not present to receive his award, studied journalism at Ryerson University and served in an advisory capacity at his alma mater and other institutions. 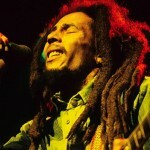 Today his publication is considered one of the most respected ethnic publications in Canada. Ethiopia-born Yohannes Ayalew, Publisher and Director of “Ethiofidel.com”, one of the finest publications online, received his honour, in the Radio, Television, Electronic Media category, for Best Concept, Audition and Presentation. 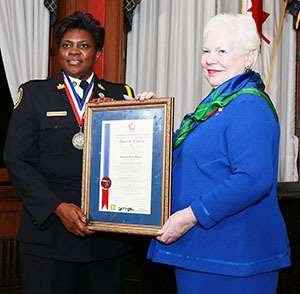 The Honourable Elizabeth Dowdeswell, Lieutenant Governor of Ontario, presents the NEPMCC award for Public Service to Toronto Police Service Inspector Sonia Thomas. Photo credit: youradonline.ca. 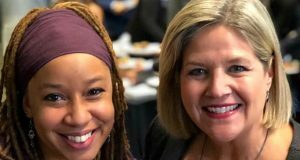 Service Inspector Sonia Thomas, the highest ranking Black female officer, in charge of 53 Division, received her award for her relentless efforts for equality, equal opportunities and social justice. Thomas was also responsible for the security of the recent 2015 Pan Am games, which was held in Ontario. 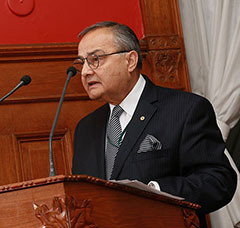 In his profound remarks, Saras continued, “…..we believe that freedom of expression and freedom of information are important pillars for a successful democracy; and these pillars are the founding principles and of the utmost importance to the members of the National Ethnic Press and Media Council of Canada. 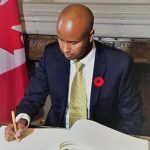 “In the pursuit of these principles, our editors, writers and publishers work very hard to spread knowledge of the world’s events in their neighborhoods, across and between our ethnic communities, to every corner of the planet, to the citizens of Canada and the world. 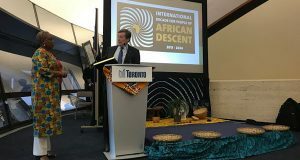 After the awards ceremony, the recipients, their families and friends, and invited guests — including former Ontario Liberal politician, Dr. Tony Ruprecht; Everton Gordon, Interim Chief Executive Officer of Caribbean African Canadian Social Services, a subsidiary of the Jamaican Canadian Association (JCA); and Gwyneth Matthew-Chapman, the newly-appointed Youth Enhancement Advisor to Toronto mayor, John Tory — were feted at a festive reception in the Ontario Lieutenant Governor’s drawing room.